I recently attended the 10th annual Cause Marketing Forum (CMF) conference in Chicago to learn about how non-profits and corporate brands can support important causes together. During the conference keynote, musician Kenna made a special appearance to share about Summit on the Summit – a campaign he created raising awareness and funds to provide clean drinking water by climbing Mt. Kilimanjaro. Working at NFI has given me “fatherhood glasses” and what stuck out to me from Kenna’s story was that it was his dad who inspired him to create this campaign. 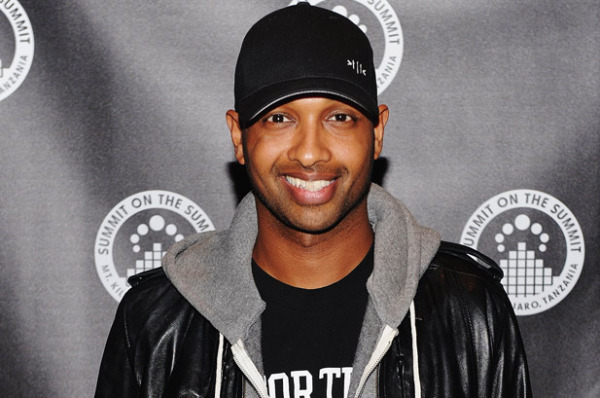 Kenna is an Ethiopian-born American musician. He told the audience at CMF that he attempted to climb Mt. Kilimanjaro to celebrate his second album but could not finish due to a reaction to anti-altitude medication. Kenna’s dad told him he wanted to dig a well in his native country, Ethiopia, to provide clean drinking water. Though he was born in Ethiopia, Kenna grew up in the United States and he took clean drinking water for granted. Then, he learned that his dad had almost died from a waterborne disease that left him in great pain through his teen years. This disease killed many others in his community. Around the world, over one billion people lack access to clean, safe drinking water. Kenna says his father’s experience with this global crisis made him realize his dad did not come to America and provide a good life for his family just so his son could walk a red carpet and be famous. His father’s story and his close relationship with his dad motivated Kenna to help his dad fulfill his dream of providing clean drinking water to his native community and others in need around the world. Kenna created Summit on the Summit to climb Mt. 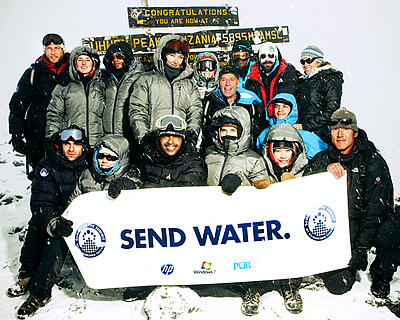 Kilimanjaro with a team of celebrities (including Lupe Fiasco, Emile Hersch, and Jessica Biel), humanitarian workers, corporate brands like HP, and the United Nations. The extreme nature of their effort was intended to raise awareness of the extreme need for clean water. Watch a video about this project here. The campaign was successful! 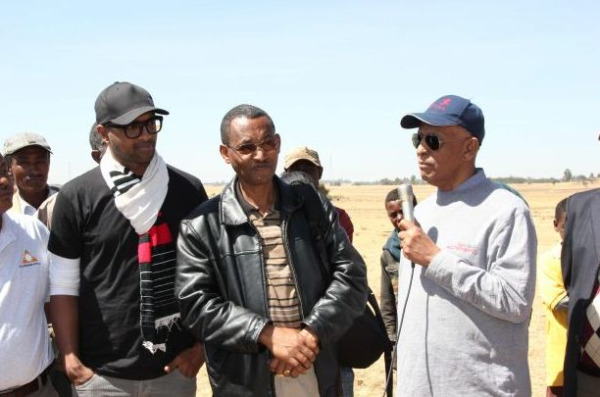 Months later, Kenna returned to Ethiopia, which includes some of the driest parts of the earth, to dig a well 50 yards from where his father had contracted a waterborne illness years before. Kenna continues to campaign for access to clean drinking water even though his climb is done. At NFI, we say “fathers change the world one child at a time.” In this case, Kenna’s father truly made an impact on the world. His relationship with his son motivated his son to devote himself to a cause close to his father. While your children may not have the celebrity status Kenna was able to leverage for an important cause, you are making a difference everyday by shaping what your children care about and value. You never know what they will be motivated to do because you invested in their life. How have you been inspired by your dad?